This lovely ranch style home features three beautiful decks (1 covered), double garage for all the toys, access to deep water, dock in place. 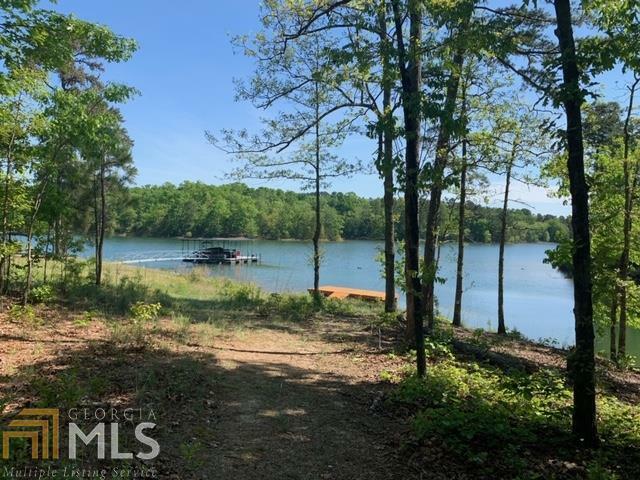 Room to stretch out and easy access to the boat ramp just around the corner. You can be on the lake in no time! This home features an open floor plan with large bedrooms, fireplace and gentle walk to the lake. This seller is willing to sell the house with most of the furnishings, so just bring your bathing suit! Call today for your private showing! Directions: Take Hwy 29 From Downtown Hartwell, Left At Ingles Onto Old 29 Or Long Point Rd (Same Road). Turn Right On Powderbag Rd About 1.5 Miles, You Will Take A Couple Of Curves And Take A Hard Left Onto Jim Crittendon Rd., Take The First Paved Rd. 1st House.